Skiing in Cortina … Pure fun! Located in the heart of the Dolomiti Superski area, Cortina has numerous ski lifts and some of the most unique ski trails in the world. There are 3 ski areas: the slopes of the Faloria, Cristallo, and Mietres, those of the Tofane, and the slopes of the Lagazuoi-5 Torri-Giau area. 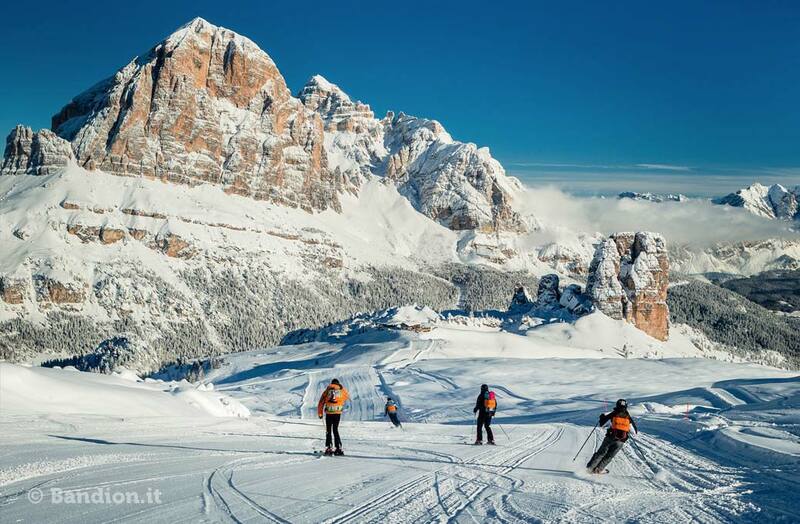 Cortina d’Ampezzo is the kingdom of cross country skiing. The area is part of the Dolomiti NordicSki, with 1,300 kilometers of slopes accessible with a single ski pass. Several snow shoe routes enable you to walk in the woods and reach the mountain huts in winter.